Steve Kroft makes how much a year? For this question we spent 19 hours on research (Wikipedia, Youtube, we read books in libraries, etc) to review the post. :How tall is Steve Kroft – 1,89m. 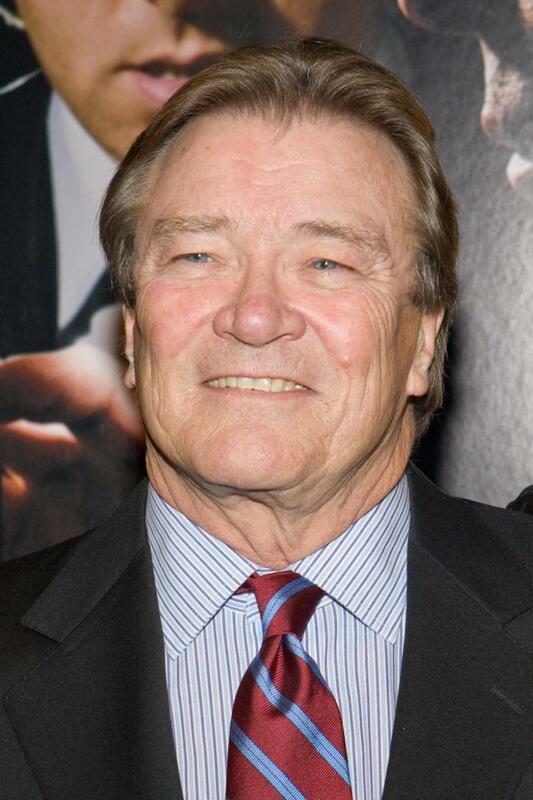 Steve Kroft is an American journalist and a longtime correspondent for 60 Minutes. His investigative reporting has garnered him much acclaim, including three Peabody Awards and nine Emmy awards, one of which was an Emmy for Lifetime Achievement. Biography,Early lifeKroft was born on August 22, 1945 in Kokomo, Indiana, the son of Margaret and Fred Kroft. Kroft attended Syracuse University, where he earned his bachelors degree in 1967. At Syracuse, he was a member of Kappa Sigma Fraternity. After his graduation, he was drafted into the United States Army and served in the Vietnam War. He was assigned to the 25th Infantry Division in Cu Chi, where he was a reporter for the Armed Forces Network, he covered the Divisions participation in the invasion of Cambodia. Kroft won several Army journalism awards for his work and a Bronze Star for Meritorius Achievement. When the Division was redeployed, he was reassigned to the military newspaper Stars and Stripes as a correspondent and photographer.Shortly after receiving an honorable discharge from the army in 1971, he began his broadcast journalism career as a reporter for WSYR-TV in Syracuse, New York. Kroft returned to academics in 1974, enrolling at the Columbia University Graduate School of Journalism and earning his masters degree in 1975. Upon graduation Kroft moved to Florida, where he worked for two stations owned by the Washington Post Company. As an investigative reporter for WJXT in Jacksonville, his reports on local corruption led to several grand jury investigations and established his reputation. In 1977 he moved to WPLG-TV in Miami, where his work came to the attention of CBS News.CBS careerKroft joined CBS News in 1980 as a reporter in its Northeast bureau, based out of New York City. The next year, he was named a correspondent and the network soon moved him to its Southwest Bureau in Dallas, where he stayed until 1983. That year, Kroft returned to Florida after CBS reassigned him to its Miami bureau. He was soon making frequent visits to the Caribbean and Latin America, covering the civil war in El Salvador and the U.S. invasion of Grenada.In 1984, Kroft landed a job as a foreign correspondent at the CBS London bureau, where he traveled extensively to cover stories in Europe, Africa, Asia, and the Middle East. Many of his assignments involved international terrorism and sectarian violence, including the hijackings of TWA Flight 847 and Achille Lauro, the Rome and Vienna airport attacks of the Abu Nidal Organization, the Lebanese Civil War, and the violence in Northern Ireland. His report for the CBS Evening News on the assassination of Indira Gandhi won him an Emmy. In 1986, CBS News brought Kroft back to the United States to become a principal correspondent on a new magazine show called West 57th. He stayed in that position until the program was cancelled in the spring of 1989.That September, Kroft and Meredith Vieira, a West 57th colleague, joined 60 Minutes. In 1990, he became the first American journalist to be given extensive access to the contaminated grounds of the Chernobyl nuclear facility, and his story won an Emmy. After allegations of infidelity surfaced in the 1992 presidential election, then-Governor Bill Clinton and his wife, Hillary, gave an exclusive interview to Kroft. The interview was one of the defining moments in the election.Andy Cort, Maria Gavrilovic, Steve Kroft and Stephanie Palewski for 60 Minutes: The Co$t of Dying at the 69th Annual Peabody AwardsKroft continued to file groundbreaking reports for 60 Minutes. A 1992 segment which detailed a friendly fire incident in the Gulf War won him his first Peabody Award. Two of Krofts stories in 1994, a profile of Senator Bob Dole and an expose on the Cuban governments quarantine policy for people infected with AIDS, won Emmy awards. In 2003, he and the rest of the 60 Minutes team were awarded Emmys for lifetime achievement.Presidential interviewsKroft has been corrected by Gallup.com about the statistics that he used when interviewing U.S. President Barack Obama on December 13, 2009. He specifically stated in the interview that Most Americans right now dont believe this wars worth fighting. He then proceeded to question President Obama, about why he was proceeding forward with the war without public support. Gallup Editor in Chief Frank Newport challenged his statement and presented data, that indicated that Americans were split on the War in Afghanistan.In March 2009, Kroft asked Obama, who was laughing while discussing the recession, Are you punch drunk?Regarding the interview of Obama and Hillary Clinton on January 27, 2013, Conor Friedersdorf of The Atlantic argues that Steve Krofts softball interview technique diminishes 60 Minutes. Peggy Noonan, in a column titled So God Made a Fawner in The Wall Street Journal, says that Krofts interview was as soft as a sneaker full of puppy excrement.